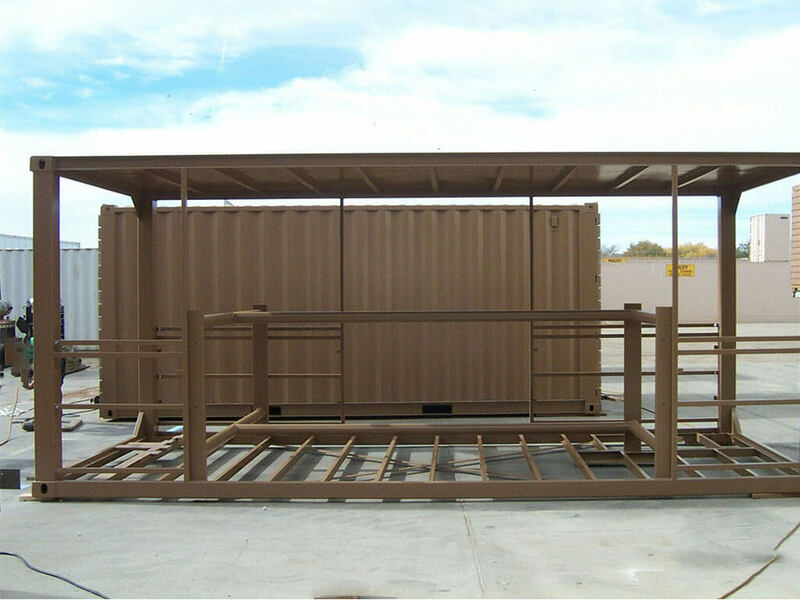 Maloy Mobile Storage helps create the training facility required by the customer. 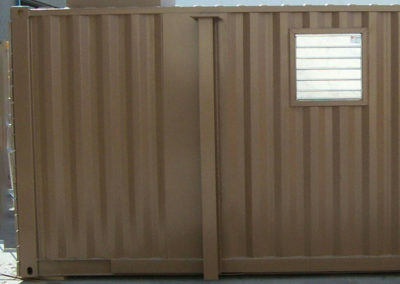 We have had the opportunity to be a part of multiple projects. 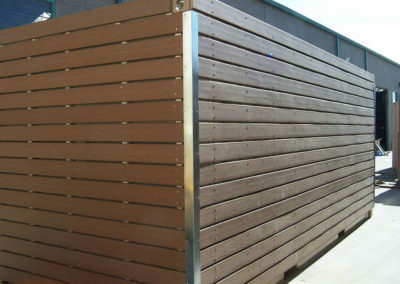 Our capabilities and creative are highlighted in this project. 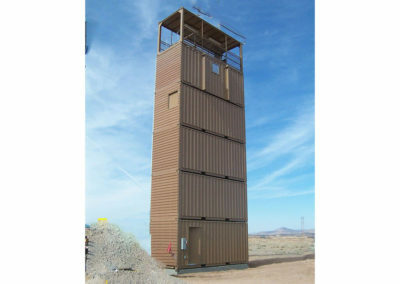 training tower. These towers were designed and built with practicality, flexibility, durability, and safety in mind. In today’s world, it is imperative that our troops and law enforcement officials receive the very best training possible. 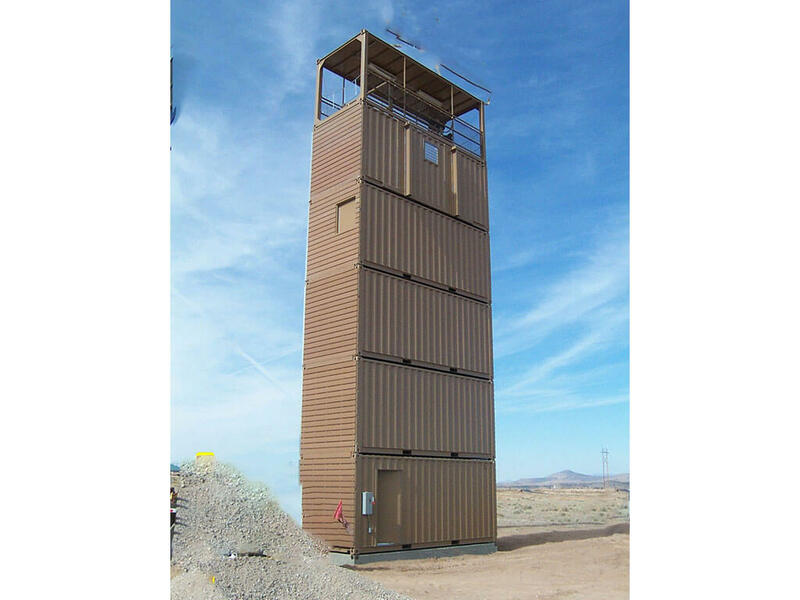 With the tactical training towers Maloy Mobile Storage custom modified and installed, it is possible to train and evaluate personnel in many tactical scenarios. 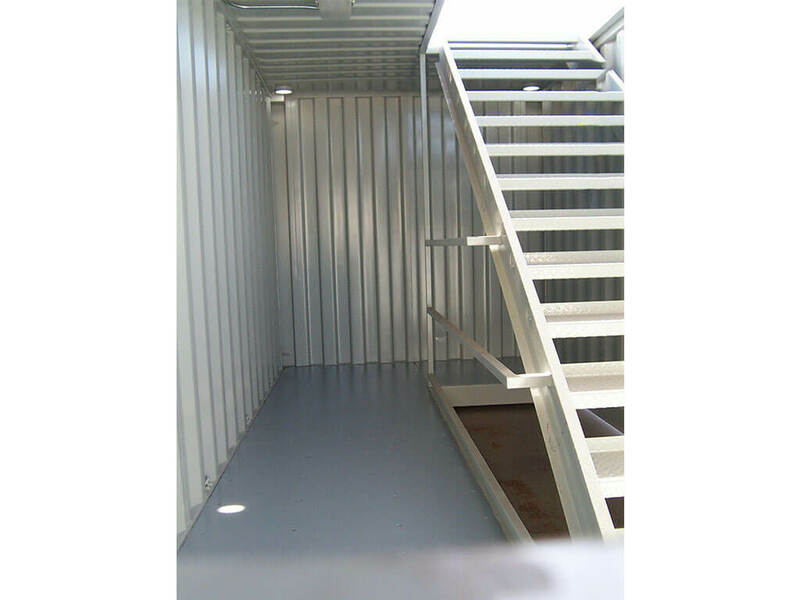 ladders, shooting portals, escape hatches, personnel doors and blow out panels. The electrical Package includes load center, disconnect switch, independent lighting systems, light switches, receptacles and a lightning protection system. 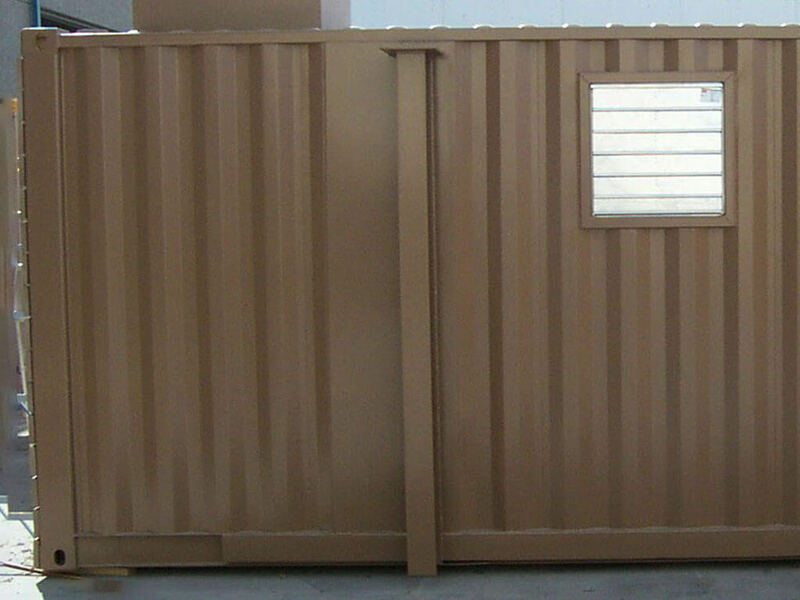 Interior & Exterior are painted with a high quality desert colored Acrylic Enamel Paint. 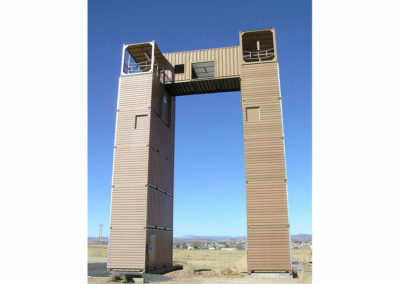 The exterior rappelling surfaces were created by covering the three outward sides of each module with a synthetic wood material requiring minimal maintenance. and floor tie points as you find in a UH-6 allowing free rappel (Air Assault Style) between the towers. 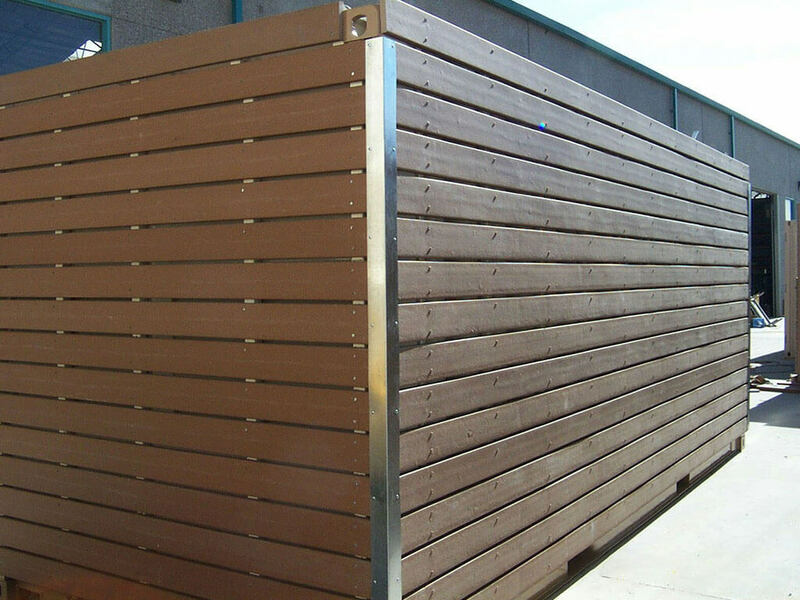 Open platforms create many safety concerns; the rails are at least 42” high, all edges are marked with a 3” yellow safety stripe. 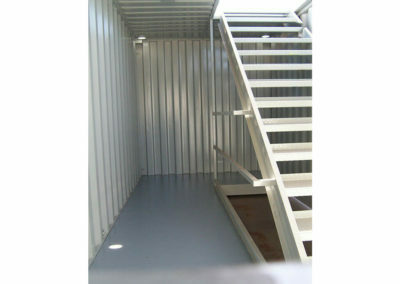 All trip or head hazards are marked in yellow, and all surfaces are non-slip. 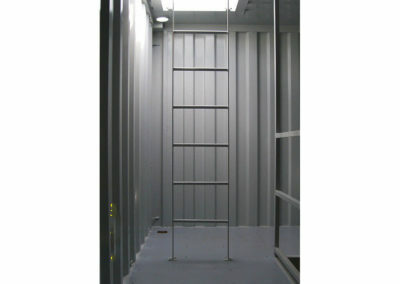 All rope stations have a minimum of two independent tie-off points. 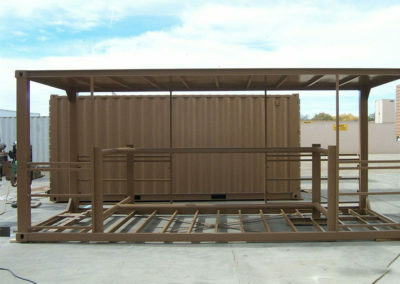 Training towers are often built in conjunction with container made classroom facilities.